You know the difference between a pigeon and a vulture. One can fill your heart with love where another will definitely scare you. That’s the world of birds – so diverse. Some can bring peace and joy, some cause trouble and some others can even kill you. Here the list of 10 most dangerous birds in the world. Red-tailed hawk is a common hawk found across North America. They typically weigh between 2 and 4 pounds. The wingspan of red-tailed hawk is measure between 38 and 43 inches. Their wings are broad and the tail is short. Female bird of this species of hawk is larger than males. They prefer to live in open areas. 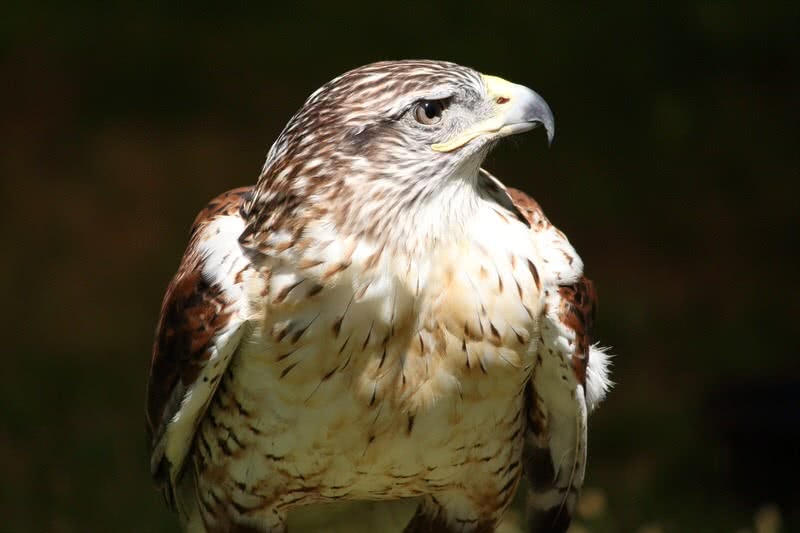 As you can expect, the powerful talons are the main weapon of red-tailed hawks. That’s what exactly you should be afraid of. Because red-tailed Hawks defends their territory fiercely. They become aggressive if you cross their boundary and would attack with their powerful talons. It could result in severe injuries. 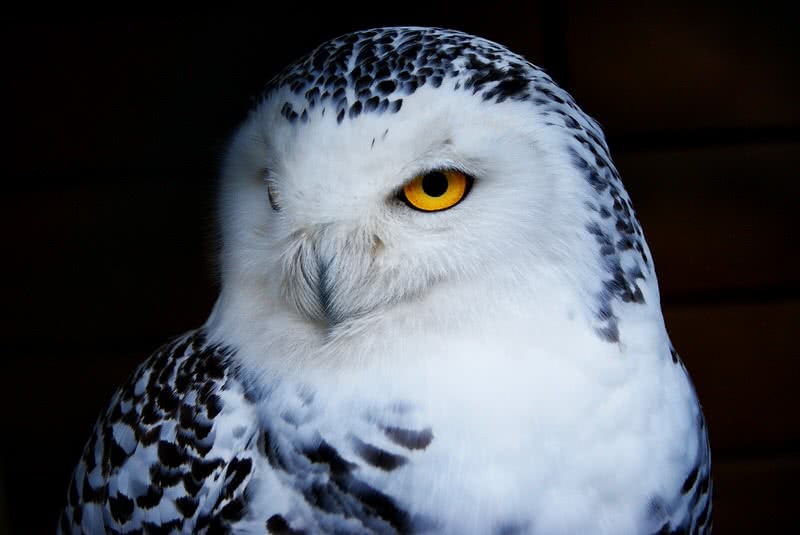 Native to harsh Arctic tundra, snowy owl is one of the largest and most beautiful species of owls in the world. As the name suggests, they are mostly white with dark gray spots. This large owl typically weighs between 3.5 to 6.5 lbs and has a wingspan up to 60 inches. Without a doubt, humans are main threat of snowy owls. The list of their natural predators us very short – Arctic foxes, Jaegers and wolves. But snowy owl is known to protect their territory aggressively. With the attack of razor sharp talons, snowy owl could drive their predators away. If a human is a threat, they would target head and the eyes. Snowy owls track to the eyes could be very serious. 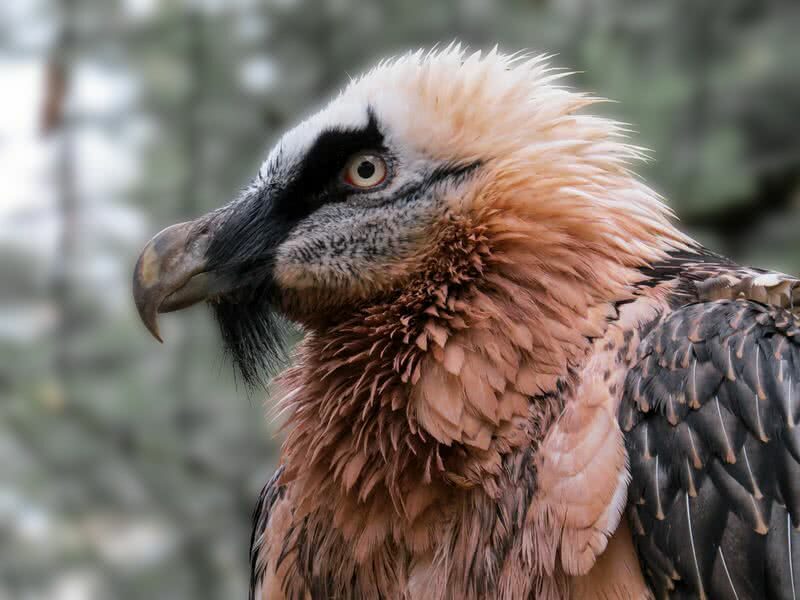 Lammergeier is one of the oldest vultures in the world. They also called as bearded vultures. This massive species of vulture weigh up to 7 kg and has a wingspan between 2.3 to 2.8 m. They inhabit in the high mountainous regions of Southern Europe, Southern Africa and Asia. The enormous wings let lammergeiers to glide effortlessly above high mountains. Upon diet, these cultures focus on carrion and bones. They eat small bones by the whole. They use dropping techniques if they get large bones. That’s dropping large bones from a great height onto hard rocks. Thus they could eat marrow inside the broken bones. Not just bones, lammergeiers use same dropping technique for prey like hard shelled tortoises. But this technique of lammergeiers could cause severe injuries to humans within the zone. Barred owl is a large, round-headed owl which widespread in North America. They prefer to live in forests and woodlands. These owls have a maximum length of 21 inches and a wingspan between 41 and 43 inches. Barred owls are nocturnal birds and thus hunt only at night. 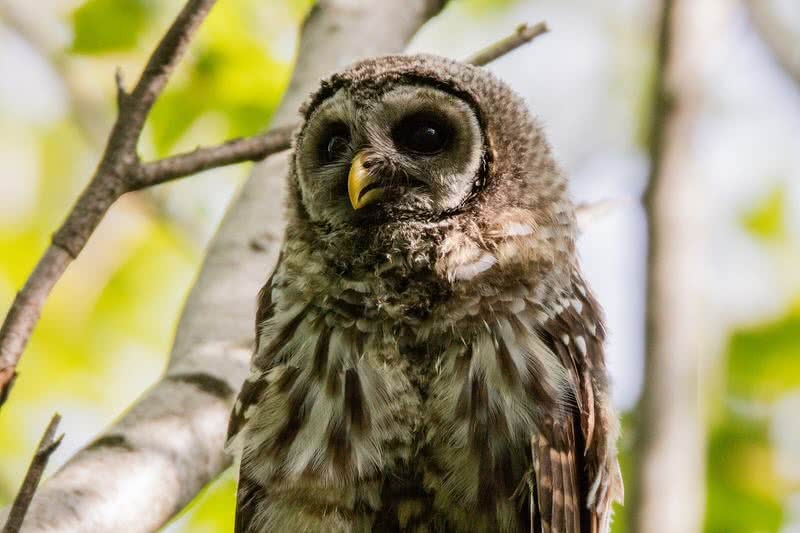 The most interesting thing about barred owl is their way of flying – can fly noiselessly through the dense forest. It is due to the speciality of their feathers. But this speciality also makes barred owls dangerous for humans. Because they become very aggressive if disturbed. Also, you can’t hear these owls coming to attack you. They target the head on attack with sharp claws, which result in serious injuries. Great Northern loon is a large diving bird which also known as common loon. 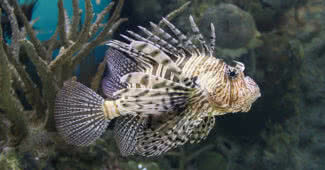 They have a length between 24 to 39 inches and wingspan upto 60 inches. 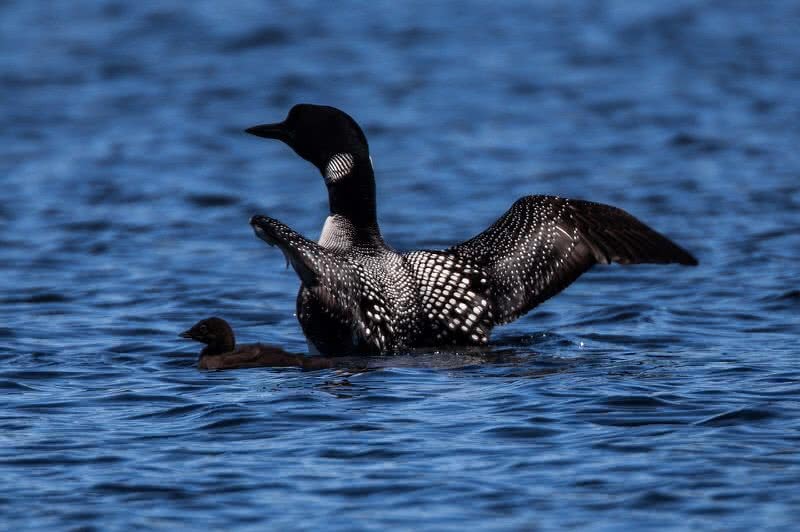 The spear-like beak is the most highlighting feature of Great Northern loon. These migratory birds spend their Summer in lakes and ponds in Northern United States, Canada and Greenland. In Winter, they migrate to South, to Pacific and Atlantic coastlines. From the physical features, you could easily say that what makes Great Northern loon dangerous to humans – their sharp beak. They target head or neck, just like attacking their natural predators such as bald eagles, gulls, sea otters, ravens or skunks. Such an attack with a spear like beaks could cause serious problems. Weighing upto 28 lbs mute swan is one of the largest waterfowls native to Europe. They live in ponds, rivers, wetlands and inland lakes. The wingspan of this large bird also measures upto 2.4 meters. The cuteness of mute swans may force you to go near them. But keep in mind that they are aggressive and can pose danger to you. The attack from mute swans on humans mostly happen during their nesting time, in the spring season. Nesting swans defend their zone vigorously. It’s better to keep a safe distance from mute swans, especially children. 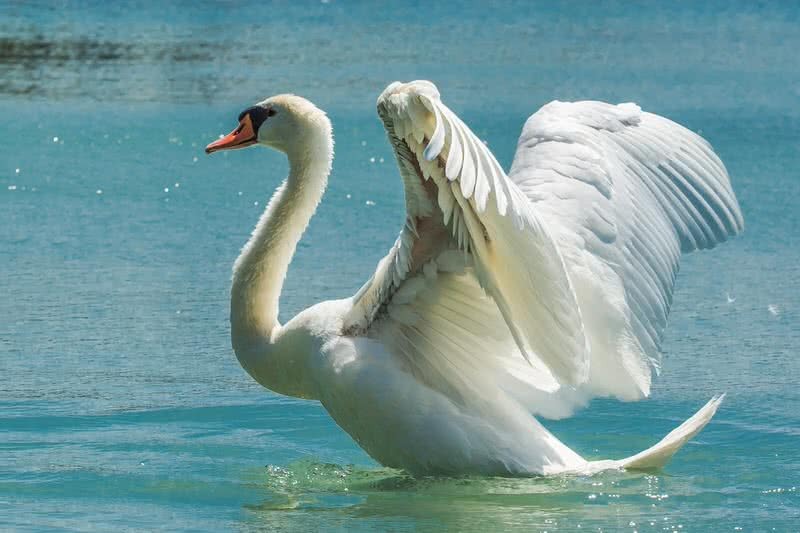 If you go near mute swans would make a fast approach with hissing and strike you with their strong wings. Considering their size and strength of wings their attack could result in serious injuries, especially to eyes. 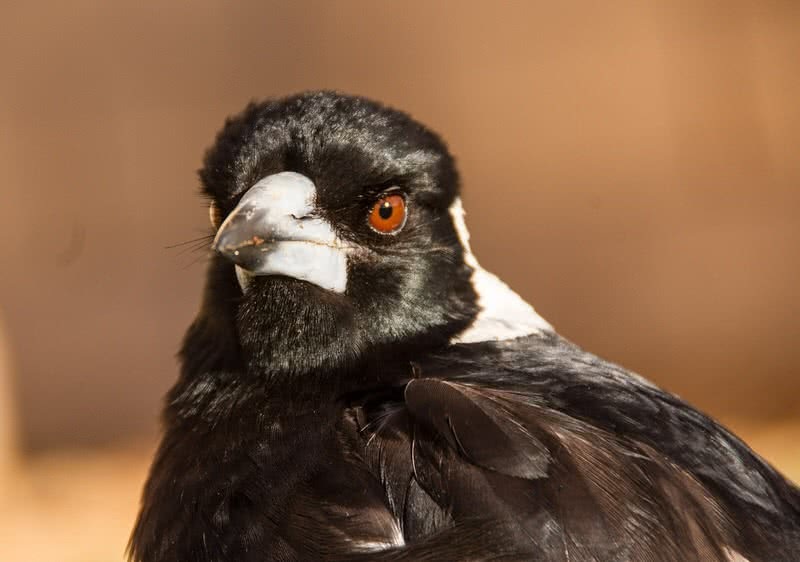 Australian magpie is probably is the second most dangerous bird of the country, after Southern Cassowary. This medium-sized bird live in grasslands, fields, parks and gardens across most of Australia. In Spring, when nesting period arrives, Australian magpies becomes very aggressive. This behavior is to protect their nest. If they found you as a threat, they would attack you fearlessly. As the habitat of Australian magpies includes residential areas (streets and parks ), you need to be careful if you stay near them. If feel threatened, magpies would swoop and attack the intruders. It could end in severe skin or eye injuries. Measuring upto 26 inches in length, European herring gull is a large gull found across Western Europe. These gulls are notorious for both stealing food and attack on humans. They have a wingspan of 49 – 61 inches and upto 2.6 long, razor-sharp bills. So, serious injuries are sure from the herring gull attacks. Like other birds, European herring gulls also become more aggressive and attack during nesting season. You should keep a safe distance from these birds because they attack in a team. 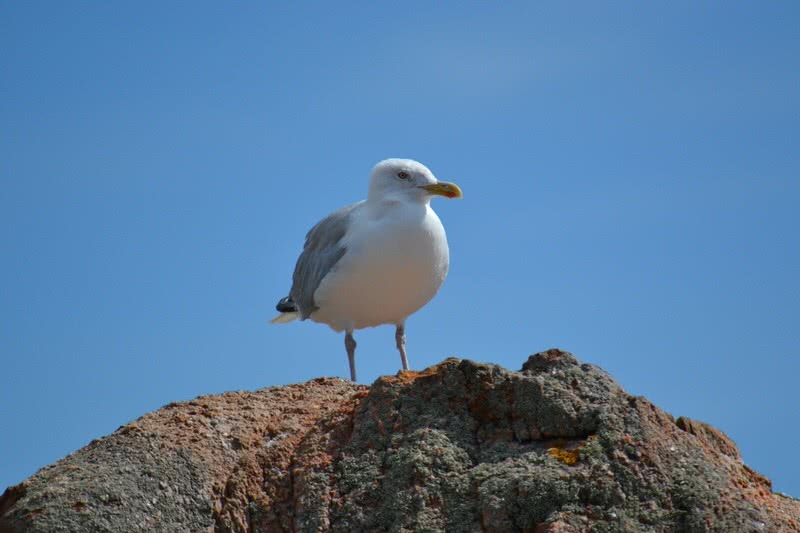 If one herring gull is alone and being provoked it would immediately call for help from other adult birds. Such an incident would result in a group attack from Europen herring gulls. The flightless ostrich is the largest living bird on Earth. Native to Africa, ostriches inhabit in savannas, deserts and grasslands across the continent. A fully grown ostrich weigh upto 150 kg and stands 6 feet in height. At a top speed of 43 mph, they are also the fastest bird in the world. But the most important thing you need to know about this powerful bird is with one kick they could kill a human. The long, powerful legs are the main weapon of an ostrich. Unlike other birds, ostriches have only two toes on each foot. The talons on each foot measure upto 4 inches in length. 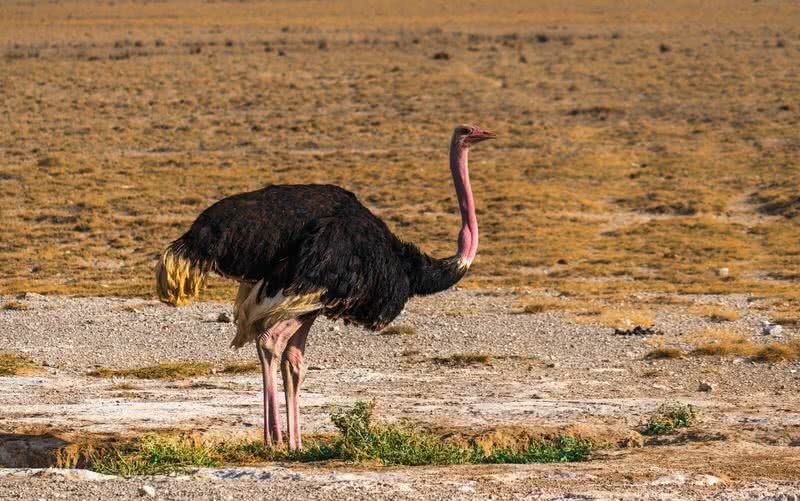 With these powerful legs, ostriches can outrun their predators. If needed, they also use powerful kicks to escape from the predators such as lion and leopards. To your surprise, a powerful kick of an ostrich could kill a lion or a human. So, you need to be very careful on approaching ostriches. Don’t provoke them or disturb the younger ones. An attack could end in critical injuries or even death. 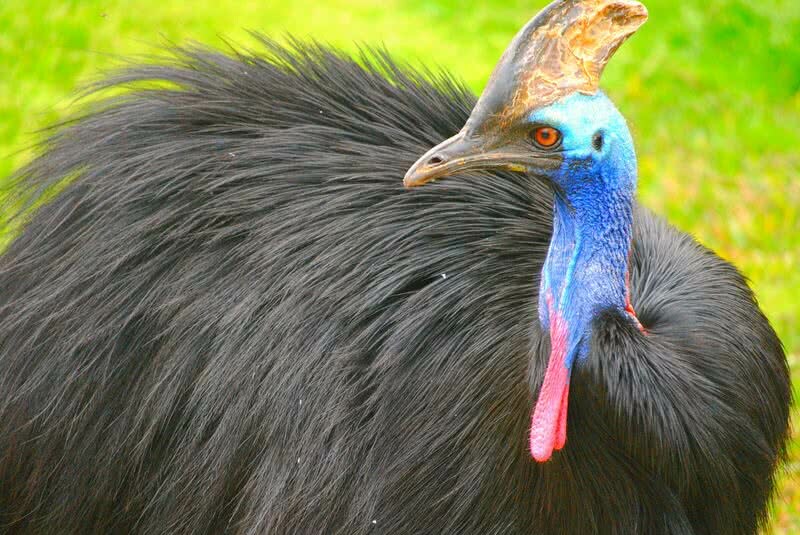 Southern cassowary is probably the most dangerous living bird in the world. It’s a bird which could definitely cause a fatal attack on humans, just like ostriches. Considering the size, Southern Cassowary is the second largest bird in the world – weigh between 75 – 80 kg and upto 5.1 in height. Like ostriches, the legs are the most powerful weapon of cassowaries. There are three toes on each leg of cassowaries. These toes are equipped with 5 inches long razor-sharp claws. So, a single strike from a Southern cassowary could result in breaking of bones, critical injuries or even death. Unprovoked attack from cassowaries is rare. If provoked or feel as a threat to their chicks, cassowaries would definitely attack. The method of attacking itself that makes cassowary attacks so dangerous – they can strike in both forward and downward direction. Also, cassowaries are known to jump top of the victim. In such a case injuries can be very critical or may even result in death.